The plans for razing the two-story Canton Seafood & Dim Sum restaurant at 655 Folsom Street and constructing a modern 14-story building, with 89 condos over 2,300 feet of commercial space and an underground garage for 36 cars with its entrance on Hawthorne, have just been granted an Eastern Neighborhoods based exception from having to complete an Environmental Impact Report (EIR). 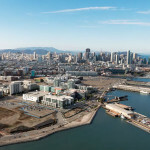 Plans for another 240 units of housing to wrap around the 655 Folsom Street site, a development which is being designed by Handel Architects for Equity Residential, remain under review by Planning. So wait… Are you arguing that because there will likely be vacant retail there will be a dead pedestrian experience? Should developers just avoid adding retail because they often sit empty? I’d rather empty retail than empty walls like the majority of the last generation of mid rise developments that fill this neighborhood. YES, and all the future non-profits and funky businesses saying they have no place to locate. As density grows in this area, every ground floor space will be needed to insure a range of rice points in the booms of 50-100 years from now. This is downtown Moscone area. Lots of pedestrian traffic. In fact the Canton restaurant that it is removing is one of my favorite dim sum place. People are doing something wrong if it sit empty. you don’t know that! it could be an upscale dim sum place like Yank Sing. You need density for pedestrians. People are so against building tall building that are needed for density… Furthermore, it is expensive to start a shop. “big chains” have deep pockets are prevented from opening shops because of “formula” retail laws. ALso for a new commercial strip to attract a lot of foot traffic, it needs an “Anchor shop.” anchor shop again tends to be big companies. of course, retail space like these won’t get rented. The first floor of the Linea Building, Octavia 8, and that new rental apartment next door are sitting empty forever. Architecture aside the glaring problem here is the massing that will happen when the wrap around building set to go up next to this one is completed. Another SOMA behemoth as is happening on Harrison. The street-scape is an after-thought – the experience from the paser by will be cold and uninviting. The solution is simple though developers and the City PTB won’t go there. That may take another election. The planning code should require all major construction to occupy only a portion of the lot envelope. Require public open space at the street level. Not 15 stories up off an alcove which today satisfies the requirement. And which some building owner are trying to get out of. The Intercontinental hotel as an example. In this instance two developers and presumably different owners of adjacent lots would have to come together and develop a single project that sits on just 75% of the lot (or so). In the day plazas were built. BofA, Transamerica, Chevron, EC (modified plaza but not a wall-off podium). Even the small Union Square parcel on which the Hyatt sits, built in the 70s I think, made room for a small plaza with a great art fountain. We don’t need more condos for rich people. We need more affordable housing for workers and families. Those two market segments are only marginally fungible. By that logic, isn’t all new, unsubsidized housing is for “rich people”. The cost of building in this city, and many others, is far too expensive to not sell at the high price it does without city or state support (which just reallocates the financial burden to tax payers, who are often the lower income people you want to help in the first place). There are countless studies explaining that building BMR housing is the least successful and most expensive route to getting lower income families in a home. Building market rate housing (as long as it doesn’t deplete existing “affordable” stock) is the only way to loosen the strain. Says developers earning economic profits. Where’s the documentation showing at what sales price MR=MC? We know it’s well past 15% affordability, because shovels are still hitting dirt like crazy. Maybe it’s 20%? 30%? More? Should economic profits (as opposed to normal profits) be guaranteed? @two beers. The BMR building in mission, all built by the city, i.e. using our tax dollars, cost almost $900K per unit, (which most are one bedroom units). So is City lying also? That is what how much cost even for the city government itself to build any buildings, not mention the developers who has to go through the expensive and time consuming approval processes. How do you plan to construct these affordable (aka subsidized) housing though? Looks like this building will have at least 10 unit? Can you do more? Can you do it without building any market rate condo (condo for the rich in your word)? 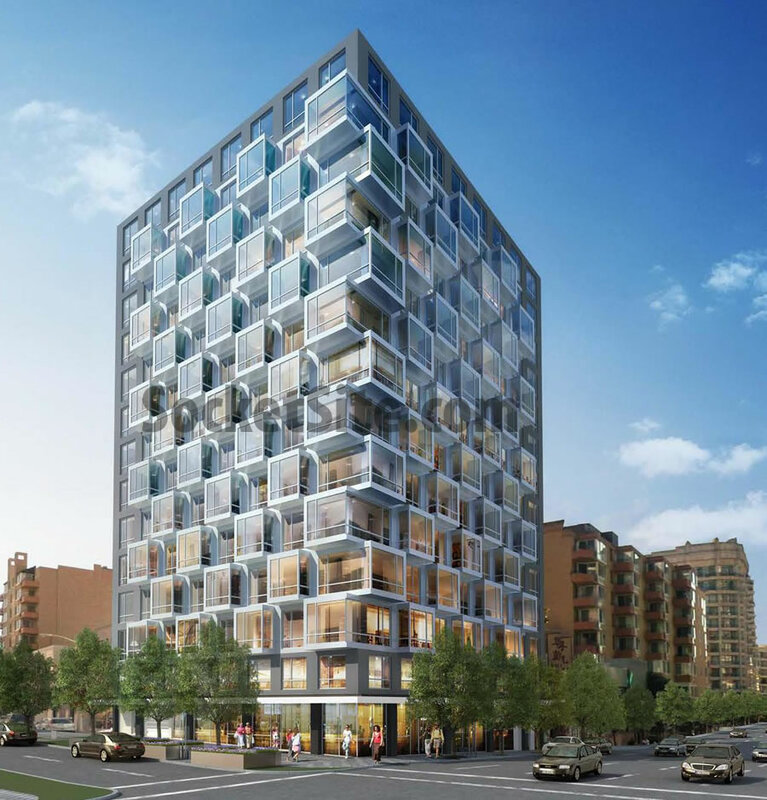 10 affordable units will house what… 20-30 people? In a city of 800,000+. That’s 0.0025% of the population. Wow. That changes everything! Everyone can complains. It you are not satisfied, come up with your PRACTICAL idea to do more. OK, HERE IS MY IDEA. In China they build high rise condo towers too, but they build them in blocks of 75-100 identical 50-story+ buildings at a time. They get the land by flattening entire neighborhoods (called ‘hutong’ in Beijing) and densifying the entire city in a matter of 5-10 years. Do that. Then you’ll solve the housing crisis. Jimmy, that is a solution and should be extended to other parts of the city, like the Sunset with its suburban low rise housing. While they’re at it, build a real rail network to move all the people who in these towers rather than rely on the early 20th century streetcar system that crawls along Taraval and Judah. Level an entire block and build a group of 50+ story building. Way to go. @two beers, does it address your concern? Two beers don’t think we need market rate housing though. Jimmy can you make the towers 100% subsidized housing? Or I perhaps should ask two beers. If the major level an entire block of land and let you build anything on top? Can you build 100% subsidized housing there? The Chinese have beat us to that, too … 12,000 miles of new high speed rail lines put into service since 2007. That’s 8 YEARS to build more high speed rail than the rest of the world COMBINED. In practice, this could be done, and done quickly. All we need is the will. Until we have the will to solve problems in a practical manner, the problems will persist. End of story. Americans like to think we are the world’s leaders, but in reality, we are the caboose. Jimmy is right, if this was 100% affordable, that’s like… 267 people. In a city of 800,000+. That’s 0.0033% of the population. Wow. That changes everything! You misread my post. I am proposing building blocks of 75-100 identical 50-story MARKET RATE buildings which would house around 50,000 people each. And service the major urban centers with high speed rail networks connected to subway and light rail. You get the land for this by flattening entire neighborhoods of low rise, low density housing, not just single city blocks, by 10-20 block parcels at a time, using eminent domain to obtain the land. That’s how the Chinese are able to house and move 1.5 billion people today. reductio ad absurdum, red herring, total logic fail……well played, sir! @two beers, you said “We don’t need more condos for rich people”. I take it to mean anyone who can afford a new house plus subsidizing another 12-20% of buyers, no? They’re not subsidizing anything. That’s not how microeconomics works. microeconomics. Builders build as long as MR>MC or MR=MC. That there is still a gold rush of building shows that builders are doing all right. Agreed, The % of affordable units should be much higher. This is not written by the National Association of Realtors or the Chamber of Commerce. Look it up: “California’s High Housing Costs: Causes and Consequences” by the Legislative Analyst’s Office of the Legislature. “two beers” obviously must’ve had two beers before making that comment because it’s totally nonsensical and ignores free-market reality. I think Dave has some good points, it will be a massive blob. It isn’t the height that makes it a behemoth – it’s the massing. It would be better if it was the same square footage, but more slender and taller, leaving a gap at least on one side from the future adjacent building. Plazas are appropriate for public buildings (offices, retail, hotel). They are not necessarily something you need for a residential building. I take your point that there should be public open space scattered around the City, but I don’t think your comment relative to this particular building is warranted. I disagree but I’m not a purist on this. I’d think the way to go about it would be to require major office and hotel structures to allocate 25% or whatever to a plaza/open space. Large residential buildings might have a 10% requirement for space to be left open. Even if that means just pulling the building 6 feet back from the sidewalk line and doing a green strip. I don’t understand you point and how it helps the pedestrian feel. Can you show us an image of your ideal pulled 6 feet back from the sidewalk in a similar context? Taking away lanes/adding bike lanes is not practical in a City with narrow streets and beaucoup cars. One day, if this continues, the City will wake up and find itself in semi-permanent gridlock downtown. The only practical way to improve the streetscape, in part, is a setback of large residential buildings “enforced” by not allowing a 100% build-out of the lot envelope. Along with requiring plazas/open space around office buildings/hotels and such. 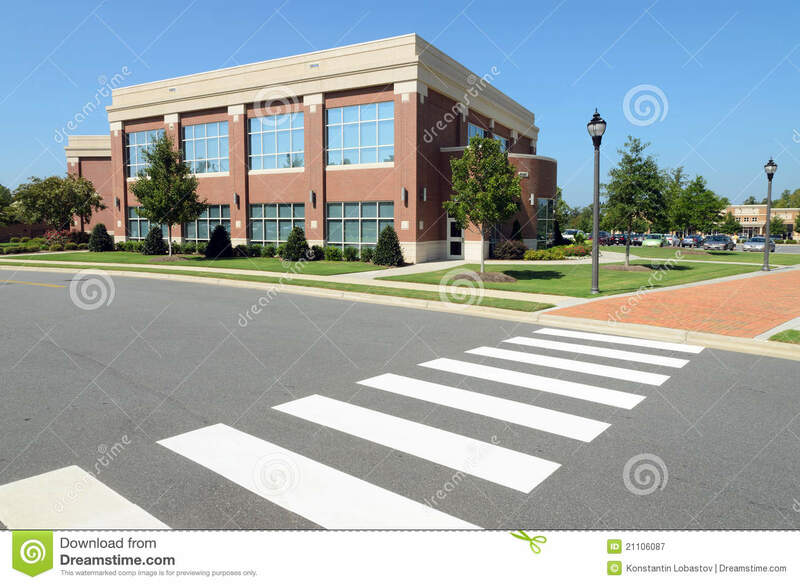 Here’s an image of what [I think] Dave wants downtown buildings to look like. Dave apparently wants random small bits of green space that nobody will use. It’s better to support mid-size parks, like Portmouth Square or St. Mary’s Square or Mission Dolores, which people actually use for recreation. What are you going to do in a 6′ wide green strip? What a waste of space. Are you trying to make SF look like a suburban wasteland? You’re describing lawns. You want skyscrapers to have lawns. I much prefer the street-level look of this building to more damn shrubbery! This is going to be an interesting corner in a few years. Besides this building and the recently re-skinned AT&T building across the street, there’s a plan to tear down 95 Hawthorne (on the opposite corner) for a 20-30 story condo building and if I remember right, there’s a plan to add height to the existing commercial building right across Hawthorne from this building. Add in the city’s plan to turn Hawthorne into a thoroughfare from Howard to Harrison to improve traffic flow to access the Bay Bridge, and this will be a fairly dense and busy intersection. I’d guess with all that going on, my bet is that there’s a good chance that the commercial space on that ground floor gets taken fairly quickly. @ two beers – the housing problem is moving beyond middle class working families. High paid tech workers are “struggling” to buy condos or homes. Hence google building residential units for its workers in MV. Or UCSF in SF. Its a crisis the political entities have not addressed in the Bay Area and they do that perhaps to their own ultimate detriment. Check out the recent Vanity Fair article called ‘Silicon Valley’s exodus begins’. This is why a complete renovation of regional public transit needs to be in the works- trains and light rail connecting the region as far out as Sacramento where it is much more affordable, so that people can get to their jobs in SF within an hour instead of commuting 2, 3, 4 hours a day. The era of grand scale public works has long passed. We are in the twilight of the empire… a network of high speed trains connecting major urban centers in California using zero-emissions electric trains WILL NEVER HAPPEN IN YOUR OR MY LIFETIME. You heard it here first! Those are solutions that have been either tossed around for decades with no outcome (Dumbarton) or agreed upon and funds diverted (Caltrain). Meanwhile, it still takes an hour to get from the outer Richmond to downtown alon Geary. Jimmy makes a valid, yet sad, point. Live by austerity, die by austerity. Instead the Navy just introduced a new class of nuclear attack aircraft carrier to the tune of $16 Bill. Insanity! Some, not a lot. Maybe in the burbs with BART extensions to SFO and soon Warm Springs, but those don’t make a dent on inner city travel. The CS is a $2B (and counting) joke. The T line replaced a very effective bus route. Sure, Caltrain introduced the baby bullet train (50ish minutes from SF to SJ), but any time saving is a moot point when it still takes an hour to get to Caltrain on public transit from most of SF. In the 16 years I’ve lived here, transit projects have never been able to keep up with current demand, much less projected demand. zip, I actually disagree. I think a BART extension in the South Bay would be used quite a bit. In terms of transportation to the Richmond district: I’m a big fan of subways. And there’s certainly a lot of people commuting to downtown from the Richmond district. But I wonder if BRT, which is currently in the works, would be more cost-effective down Geary than a subway. BRT, when done CORRECTLY can be surprisingly fast (see Cleveland’s “Health Line”. I used to frequently ride it). For me, it depends on whether or not SF plans to up-zone the Richmond district and other northwest neighborhoods. Most of this part of SF is just single-family homes…very suburban in feel, oddly enough. If SF ever starts being more progressive, gets serious about the housing shortage, and stops being so hostile to development, then I think a subway down Geary is a great idea to handle the inevitable population growth there. But so far, the vast majority of that part of the city is zoned RH-2…that’s max one housing unit per 1,500 sq ft of LOT AREA. That’s VERY low density, and in my opinion, inappropriate for a supposed “big city” like SF to have so much of it, especially considering the housing shortage. I’m doing the math and it just doesn’t add up….89 condos and 36 parking spaces. Why does every unit need a parking space? Aren’t we beyond this by now? You may want to sit down for this, but there are people in san francisco who don’t own cars. Not at that ratio; not even close. Actually Orland, between 2000 and 2012, 88% of added households in SF were car-free. Google analysis by Michael Rhodes of NelsonNygaard. I would also argue that if you build housing without parking, people will still come – you’ll just attract people who don’t own cars or don’t want to own cars. @Chad, you’ve misrepresented the analysis you referenced. The analysis was not from 2000 to 2012. It was based on the US Census ACS data for 2000 compared with the US Census ACS data for the average over the years 2008-2012. That 2008-2012 timeframe is more weighted to the effects of the recession than to the current boom or the year 2000 boom times. More importantly, the 88% number quoted above does not mean what you claim. It was simply someone mistaking the statistical noise for the signal. The margins of error on the number of occupied housing units with no vehicles is larger than the result they are touting. The only trend this analysis has established is for wishful thinking of carless households. Besides, that was old data. We have more current data from the US Census ACS for 2013 and for 2014. Using the 2014 data, because of the large margins of error, we can’t know if the actual percentage is as low as 29% or greater than 100%. That’s just the reality of the measurement error in the data. Also, it is a clue to this being a minor effect compared to the much larger and long term stability of the car ownership rates in SF. The number of “added households” in SF from 2000 to 2014 (per US Census ACS) is less than 7% of all SF households. The difference between 88% of 7% and 29% of 7% is hardly noticeable on the streets of SF. And the worst traffic in this location is caused by vehicles owned by residents of the east bay, anyway. I like! I would like to see a 50 story tower of this style built downtown. All I can say is that I hope Jimmy the Flipper is being sarcastic. If not, I would suggest that he study basic urban planning. The issue of empty commercial space throughout many of these new projects is not going to likely change here. Especially if the traffic corridor thing comes about – Hawthorne thoroughfare plan. The increased noise and traffic will be off-putting to pedestrians. Part of the problem is the formula retail restriction in SF, but there are not enough Starbucks or Walgreens or fill in the formula shop to near fill all this empty commercial space. The bigger issue is a failure to recognize the transformation of retail and how the internet is rapidly changing how folks shop. For many things. I listened to a real estate news podcast recently talking about this. How the big box chains are being impacted too. How there is a shift towards warehouse driven shopping given the internet. The big box stores do not need the space they once did. A WalMart can warehouse its goods in tax-free Nevada and be within 24 hours by truck of all its stores in the Western states. Delivery can be as with Amazon, which has a center north of Reno, direct to the customer which obviates the need for any brick and mortar retail outlet. This building and basically all such similar buildings proposed, under construction or recently built are following an old model of how folks shop that is being transformed. Even as all this new retail space sits empty. There will still be a need for commercial space, but less so over time. A model taking this into account would build a 14 story condo tower and have residential units on the ground floor. Maybe with stoops and entrances fronting on the sidewalk. Making for a more neighborhood/small town feel than do block after block of empty storefronts behind blank smoked glass “walls” along the sidewalk. Right, like how the increased noise and traffic is off-putting to pedestrians on Market Street. There are hardly any pedestrians there. Heck, just look at Manhattan. All those empty sidewalks in Midtown, where no one goes out because of all the tall buildings and constant traffic. Dave, stop. This is not a small town. This is a block away from a gigantic convention center. In every post you project your feelings about urban design as if they are fact. The fact of the matter is that most people who voluntarily choose to live in this particular location vs. any of the actual small towns, or even the Sunset for that matter, prefer urbanity and wall-to-wall design. My wife and I would live in a building like this in a heartbeat over a quaint little “stoops on the first floor” building. You just don’t like inner cities. That’s totally fine. Lots of people do and this architecture reflects this. I love inner cities and have nothing against this building, but this architecture certainly isn’t the poster child for inner city neighborhoods. Look at North Beach, Hayes Valley, Cow Hollow, Pac Heights, the Marina, Noe Valley, etc. They all offer a small town, neighborhood feel for both residents and visitors. So it’s great that we have so many of them already, then. Look around at this particular inner city neighborhood, however. Wall to wall, dense condominium buildings are the norm, many far taller than this. As are convention centers, large museums, huge shopping malls, and headquarters to large companies. Small town feel works. We have many of those neighborhoods already. Let Yerba Buena, Mid-Market, Rincon Hill, and Transbay feel like actual cities. I never said anything to counter your position. My point was that an inner city doesn’t have to be defined by one type of building, tall or short, to be vibrant. Heck, this whole area could be built to the sky for all I care. I guess the only way for a city to feel like a real city is to have tightly-packed high rise developments. Sheesh. To counter your ridiculous claim, the “quaint” neighborhoods I pointed out in my original comment seem to always be packed with people eating, shopping, and enjoying themselves while the places you described become ghosttowns after the 9-5 crowds flee. Bingo. Check out these “faux” created neighborhoods on weekends. Desolate. Mid-Market has two big towers finished (100 Van Ness and NEMA) with several more set to break ground and finish in the next half-decade. The bulk of Rincon Hill’s towers have topped out but are not lived in yet. Overtime, as these buildings actually come online, the demand for active, vibrant streetscapes will rise as the residents will want local places to eat, drink, and shop. I am a huge fan of the scale of the Marina, the Castro, the Haight, etc. To suggest that we need a “small town feel” for buildings built in this location per Dave’s direct suggestion is sheer nonsense. We have that already, in many successful neighborhoods and it was naturally created, not created out of some pastiche of what a “small town” would feel like. I am also completely in disagreement with his general tone on most of his threads proclaiming that people don’t want to live in areas like these. Many people get excited about living in wall-to-wall buildings with fully activated retail corridors on the ground floor. Dave frequently posts his opinion as a blanket fact, as if nobody likes these type of environments when clearly many do. I love our human scale neighborhoods. But 3-4 story corridors of buildings, particularly with these plazas Dave always pushes, are not the future of the city. You know, I do like those ‘quaint’ neighborhoods you mention. If there was a realistic way to increase their number significantly, I would be all for it. I think the areas around Bart stations around the Bay Area would be good candidates. But it doesn’t seem likely to happen– people there like their easy parking, and they vote. Agreed, as well. Though I love the collection of individualized villages that is much of SF, I look forward to the urbanized residential areas coming on line Downtown. The point was the over-building of retail space in these projects. The use of an older model of retail that is changing. Some of these projects need to do something different with the ground floor. Make it residential too which adds to the housing stock. There does not have to be stoops with sidewalk entrances to ground floor units. It could be something else. If you don’t provide local retail amenities that people need/use on either a regular or ad hoc basis then the result is that they will get in their cars that are parked conveniently underground and drive to get what they need. NYC has low, mid and high rise residential buildings surrounded by ground floor retail and it works just fine. I am not saying build no retail in these buildings. I am saying not every new building has to have retail on the ground floor. The large amount of empty storefronts in these newer buildings says there is not the demand for all that retail space. Some of the storefronts stay vacant for years. Poster above mentioned Octavia 8 and Linea. No Upper Market development is complete without a huge frontage of empty storefronts that will never be leased under the city’s current rules. A rational person would give up at this point and let service and professional office tenants lease such spaces. The condoslofts are the death-knell for retail. SF will soon be the world leader in storefront medical offices..
exactly@”2. long, wide, shallow footprints don’t suit neighborhood retail (people flock to spots with lots of different stores, not to ones with just one or two storefronts on a block),” or retail wallpaper. Yet the planning department continues to make this same mistake over and over. My proposal addressed what to do with the space we have not what should have been done in the first place. The city, for one, is requiring the addition of a lot of retail space in an area that already has trouble filling vacancies in the existing stock. Developers are only putting it in because the city requires it…the fact that they don’t do a great job at it isn’t helping the situation but there is no upside for them beyond getting the entitlements sewn up. This isn’t the planning dept’s choice; it’s the builders decision to cut corners on the ground floor, which they can afford to do, because they are making windfall profits on the condos. The city is asking for a bare minimum, so that ground floors aren’t all just neighborhood-killing parking garages. Unfortunately, planning is always ten years too late. When they finally realize that they should have required each building to have multiple ground floor units with short but deep footprints (like almost all traditional neighborhood service and retail), it will be too late. Planning is always gamed/unduly-influenced/outsmarted by the banker/developer/LL/realtor crowd. 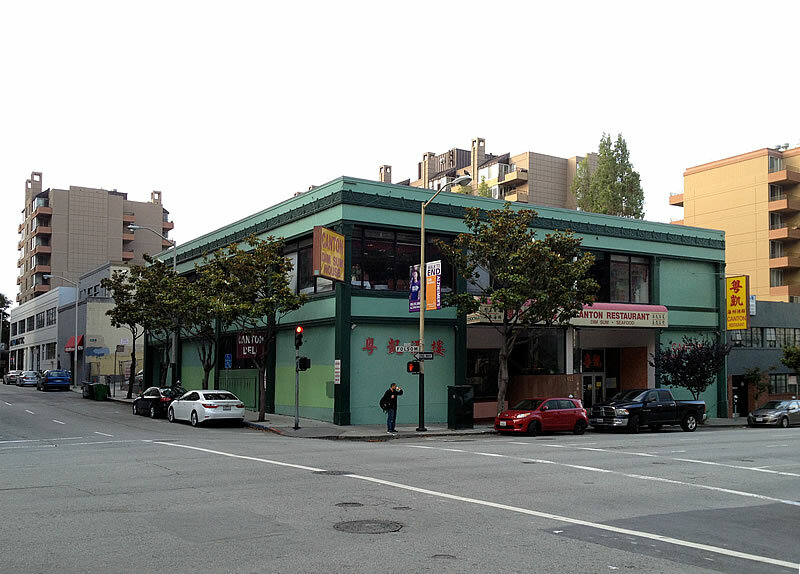 Wow, the last of the cheap non Chinatown dim sum places is soon to be gone. What am I going to do? I hope they keep the name, Canton Seafood Condos has a nice ring to it, and is quite fitting. I agree, but don’t bet it. It’ll probably sound like a new Mazda hatchback, e.g. Lumina or Nema. I’d rather have the dim sum restaurant . . .